3 Beds 2 / 0 Baths 1,490 Sq. ft. Description: Absolutely delightful one-level home located on quiet cul-de-sac. Open layout w/vaulted ceiling in living room, beautiful hardwoods throughout, & wood-burning fireplace. Tranquil setting with large screened-in deck overlooking beautiful fenced back yard. 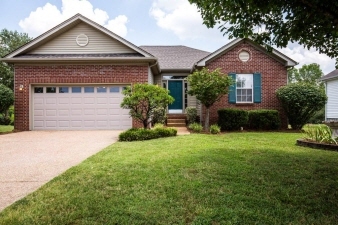 Fabulously located just minutes from opry mills, airport, dt nashville!